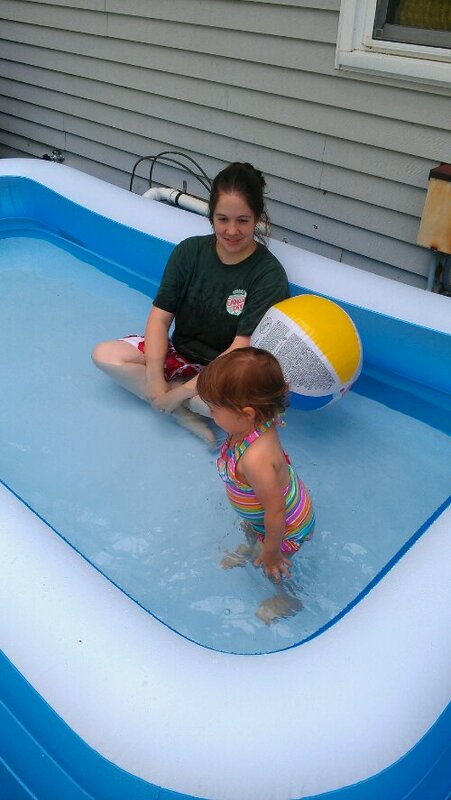 Pool Party at Grammy’s House! 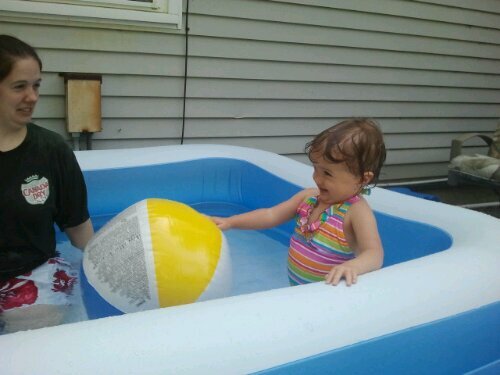 Eva checks out her brand new pool at Grammy's house. It quickly became Eva-approved! 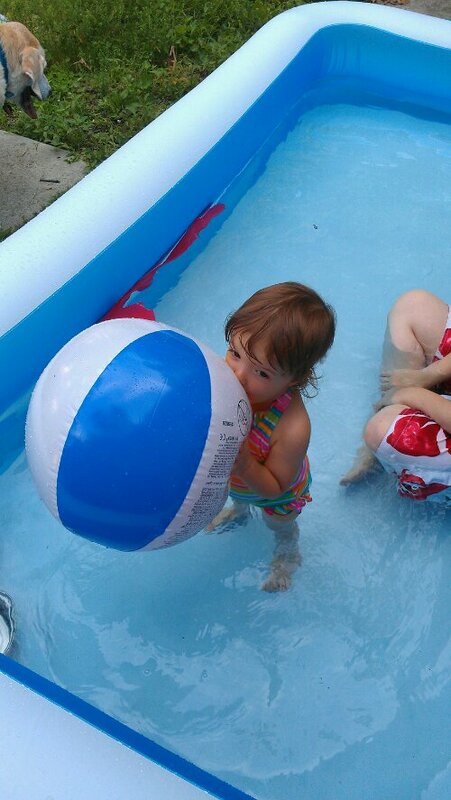 Eva was mean and splashed. A lot. 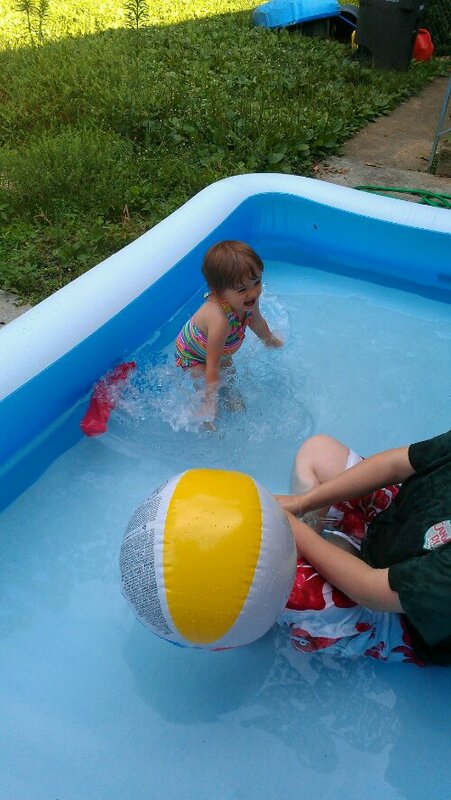 Eva thought it was HILARIOUS when Grammy squirted Mommy with the cold hose. 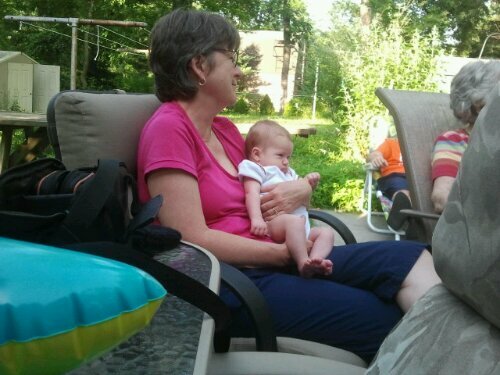 She even pointed so Grammy could better direct her aim. Eva and Mommy making the same face. 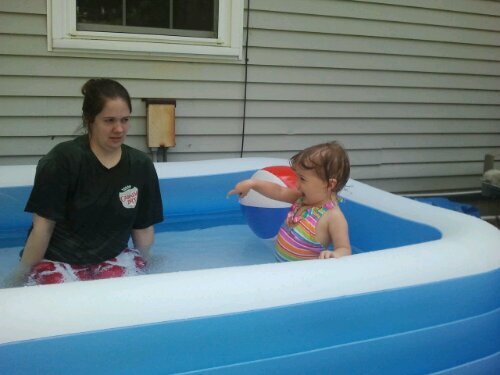 Kirsi and Aunt Julie watched Eva swim in the pool. 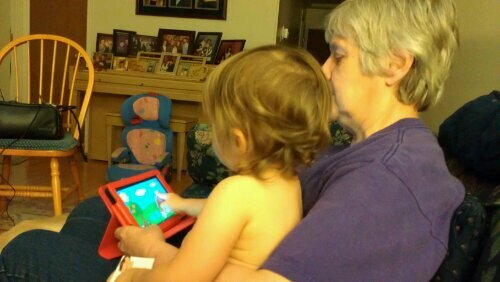 Playing a game on Grammy's Kindle made for the perfect ending to Eva's day of fun. 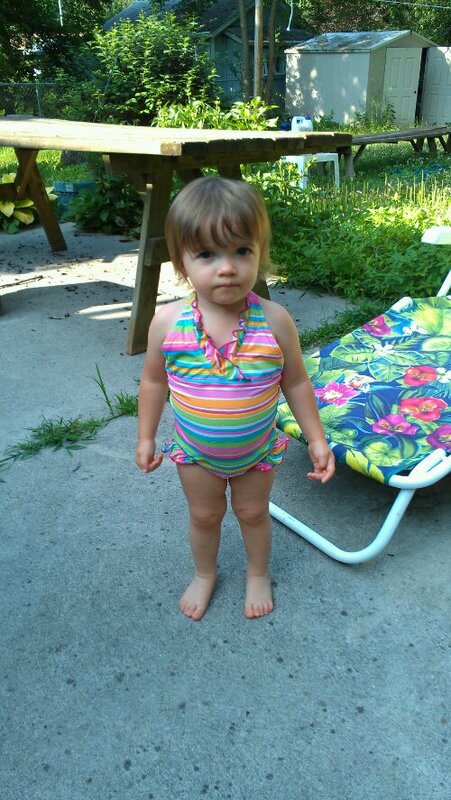 Categories: Family | Tags: baby, family, pool, swimming, toddler | Permalink.